Futures are up, and $287 is becoming more of a reality on the SPY. Tuesday was a day of rest for the market while Monday was a huge bull day. The wall of worry is still intact as price slowly crawls higher. If we don’t micromanage the hard right edge and every little blip the wall is easier to climb. The trend can be one of the best tools in your toolbox; the trend keeps price action honest and helps traders decide if the chart has gone from good to bad or bad to good. Two important tools after the alert system I use is Price Action (Candlesticks) and Trend. With the T2122 chart in the overbought area, we are cautiously bullish and always remind ourselves to look for the base hits by profiting into strength. ✅Save time reviewing hundreds of charts. 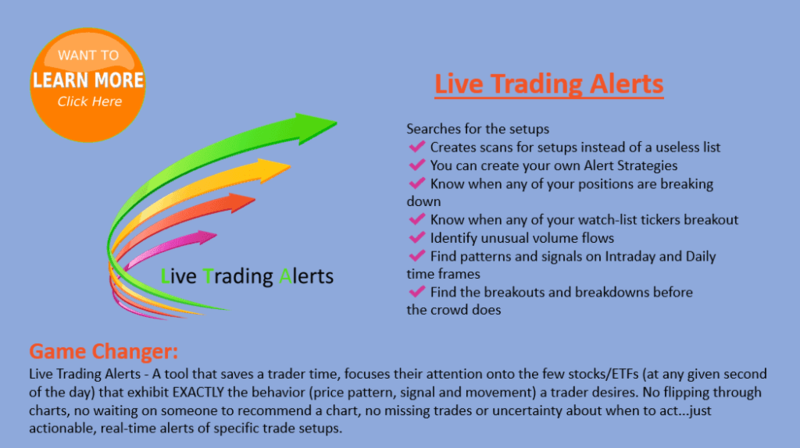 ✅Find EXACTLY the right set up by being alerted for only those tickers that qualify. ✅Stop “Chasing trades” by being alerted of the move (not finding out later.) ✅Eliminate “trouble pulling the trigger” (be sure when a ticker is moving.) ✅Stop “leaving money on the table” (manage your exits with lower-time alerts.) 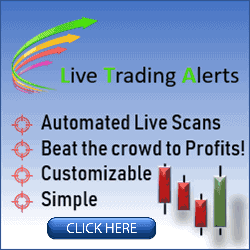 ✅Stop “Predicting” by trading alerts that show the turn, not forecast it. ✅Stop ignoring the overall market (by watching alerts on DIA, SPY, IWM, QQQ.) ✅Gain massive efficiency over flipping through charts (hoping to find them at just the right time) or waiting on someone to feed you trade ideas.